Each Board and Train Bootcamp has an individualized plan tailored to your needs. Standard Basic Obedience and Advanced Obedience/ Off-Leash Obedience are available as well as Behavioral Modification including Dog Reactivity! ​Your dog spends 1, 2, or 4 weeks boarding over-night with us and receiving daily one-hour training sessions all culminating in a final, one on one, "train the owner" session on the day of pick up. 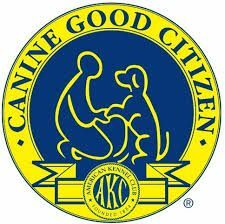 Option to certify your dog as an AKC Canine Good Citizen, AKC Community Canine, AKC Urban Canine or even Therapy Dog TPU! Make an Appointment for a Free Evaluation/ Consultation for your Board and Train here!